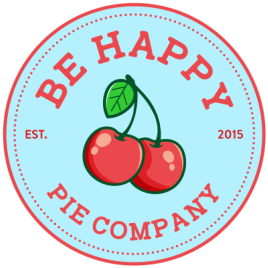 Be Happy Pie Company makes each pie from scratch using the finest ingredients. Our cases are full of sweet treats daily in a variety of flavors, but we do not make every flavor everyday. If placing a specific order, please allow 24-48 hours. A bag of our delicious pie crust scraps dusted in blend of cinnamon and sugar and baked to perfection. Available to order any day, but please allow 48 hours.